the state’s biggest tourist draws next to the Alamo and the River Walk, both in nearby San Antonio. 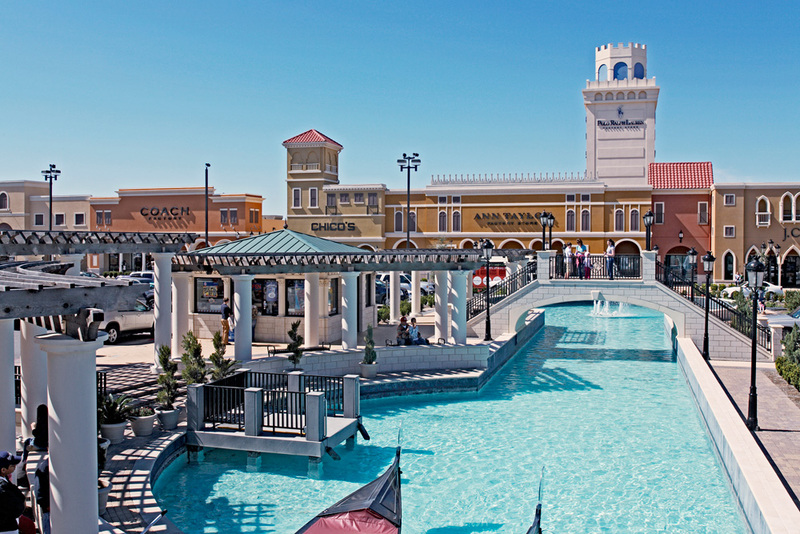 The 200,000 sf expansion to Prime San Marcos features a Venetian theme with the addition of a bell tower, piazzas, a lagoon and canals that include gondolas, statues and gardens. The existing 658,000 sf center received a façade and public space renovation to complement the expansion. New tenants included Neiman Marcus Last Call, Ferragamo, Hugo Boss and other upscale fashion outlets.